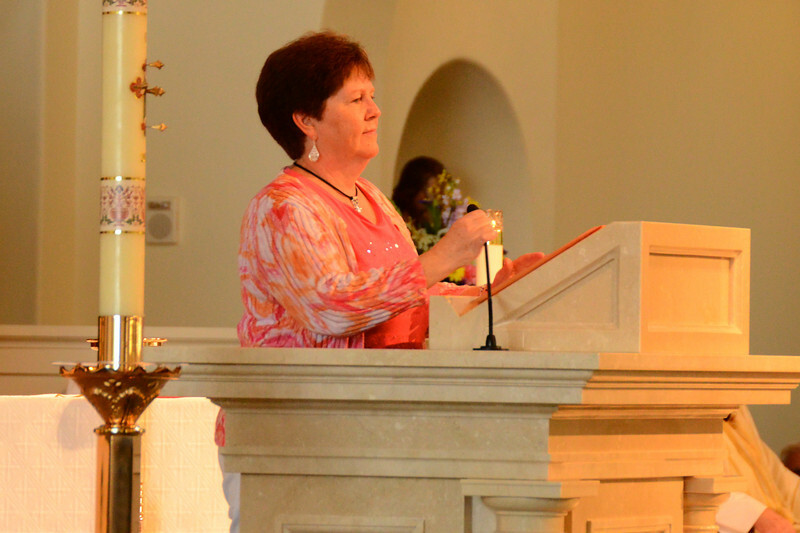 Scenes from the 10:30 Mass at Corpus Christi Catholic Church in Celebration, FL, on Easter Sunday April 20, 2014. Images were captured by Jim Siegel, Corpus Christi parishioner, business consultant, and professional photographer. Among others, Jim has press credentials at the Vatican and at the Kennedy Space Center. All images are 4x6 aspect ratio (i.e., they are sized for 4x6 prints, though they can be cropped by you or by photo finishers to any size), and are available for download at no cost. Simply put your cursor on the image, and a menu will appear on the upper right corner. To download and save the image, click on the file folder with the green arrow pointing down into the folder. Also, file sharing is available on the toolbar buttons on the top of the screen. You can download photos at no cost and send them to your favorite photo finisher, or to your friends, or to a social networking site. Or for your convenience, you can order prints from this site at nominal cost (to help cover my cost of my subscribing to this site). Because most of these photos were shot indoors without a flash, some may have a grainy texture and lack the clarity of typical daylight images. Please feel free to forward this album to relatives and friends. To open the album, click on the photo that appears on the invitation note. To view other examples of Jim's work, click on "CelebrationJim" near the upper left corner of this site; you'll be able to choose from scores of other albums on a variety of topics. Jim's latest book, The Town of Celebration, is a mini-coffee-table book of scenes from Celebration; it is available for $9.99 at the former Town Hall building (now called the Welcome Center) at the corner of Celebration Avenue and Market Street in Celebration Town Center.